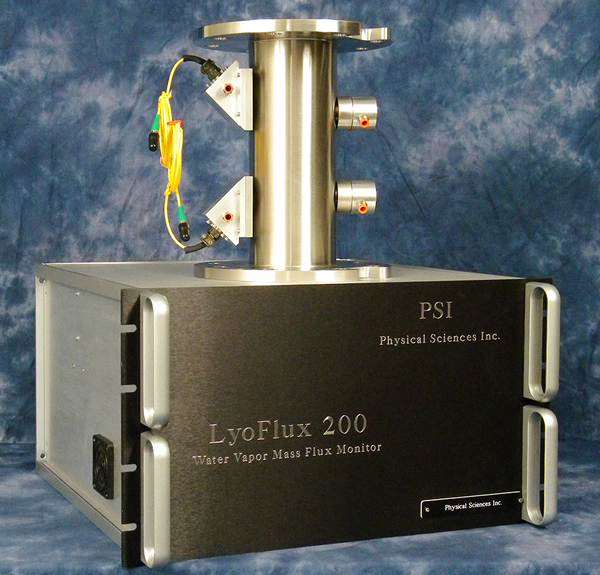 The LyoFlux TDLAS (Tunable Diode Laser Absorption Spectroscopy) sensor measures water vapor concentration (molecules/cm3) and flow velocity (m/s) in the vapor duct connecting the lyophilizer product chamber to the condenser, which in turn allows calculation of critical product parameters. LyoFlux provides measurements to enable process monitoring and control during the freeze-drying process and enhances understanding of product attributes and their impact on product quality. All measurements are made real time and non-invasively without introducing any bias other types of measurement sensors could present. The ability to use this technology in the development, and then on to production scale freeze dryers, provides users with the flexibility to obtain the needed product attributes such as product temperature and product resistance to vapor flow, without human intervention and compromising product sterility in an aseptic environment. 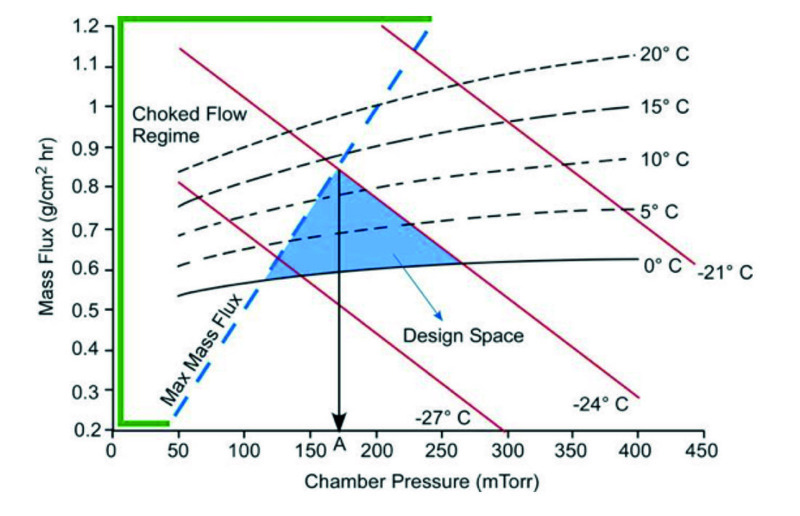 The use of LyoFlux enables development of process design space, specific for the formulation in as little as three experiments. Consider Kv determination. [Kv is the vial heat transfer coefficient and of prime importance when scaling processes up or down]. Kv is pressure dependent and using LyoFlux can be calculated in one single experiment by varying pressure over time to obtain the sublimation rate at the respective pressure set points. This streamlines the use of production freeze dryers, minimizing downtime required to conduct multiple sets of experiments in order to obtain the data for equipment capability or Kv experiments. Traditional gravimetric methods require filling the vials and then weighing these pre- and post the freeze-drying process in order to determine mass loss during sublimation. This process then needs repeating for the different pressure set points to obtain the dependency of the Kv value over pressure ranges. Traditionally, Kv has been measured in commercial dryers only by the most forward thinking companies because of the huge amount of labor and non-productive system time required. LyoFlux® is a registered trademark of Physical Sciences Inc., Andover, MA, USA and used by kind permission. Graphical design space generated using data obtained from LyoFlux sensor measurement and simulation. Image supplied by kind permission of Physical Sciences Inc.